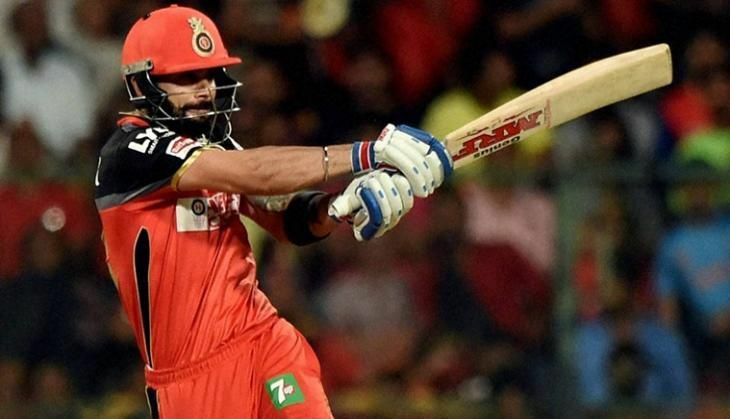 Royal Challengers Bangalore star batsmen Virat Kohli and AB de Villiers have received a flurry of praises from cricket fraternity after the scintillating duo smacked blistering tons to help their side secure a whopping 144-run win against Gujarat Lions in the IPL clash in Bengaluru on 14 May. The Indo-South African duo crafted a 229-run partnership for the second wicket, the highest partnership in T20 history. Kohli (109) and De Villiers (129) also bettered their previous partnership record of unbeaten 215 against Mumbai Indians at the Wankhede Stadium last year. Congratulating the two batsmen for their blistering knocks on Twitter, West Indies star batsman and team-mate Chris Gayle described their performance as 'top knocks from two real champions'. "Ab baby you legend ! @ABdeVilliers17," Indian all-rounder Yuvraj Singh tweeted. Sunrisers Hyderabad's David Warner also hailed the pair for their brilliant performance and labelled them as the `best batters` in the world. Describing the duo as `phenomenal`, former England batsman James Taylor said it was the best batting performance by world's two best batsmen. "Absolutely killer batting by both champions @ABdeVilliers17 @imVkohli ???? salute," veteran off-spinner Harbhajan Singh said. England's Jos Buttler, on his part, likened the duo with star footballers namely Cristiano Ronaldo and Lionel Messi. "This is like Ronaldo and Messi on the same team!," Buttler wrote. Earlier, Royal Challengers's skipper Kohli dubbed De Villiers as an absolute legend and credited the South African player for instilling a lot of confidence in him.